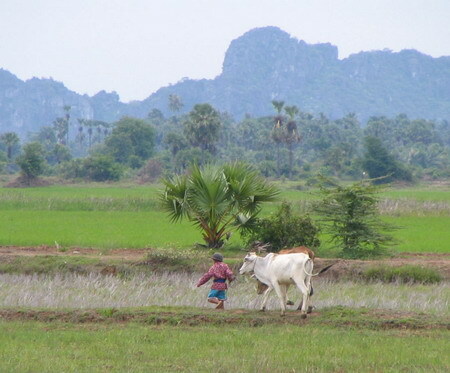 The plan for this weekend is the following: I ride with Maraile to Kep (Kaeb) today, spend the night there and continue to Kampot, where we meet Lydia in the morning. 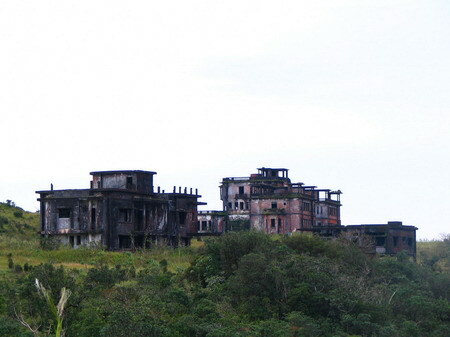 The ladies will find a taxi and then we go visit Bokor National Park (Preah Monivong National Park) and the hill station on Bokor Mountain (Phnum Bouk Kou). 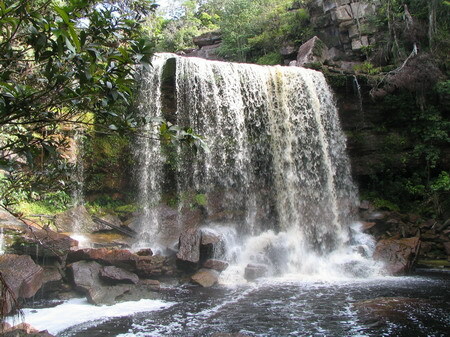 We want to spend the night in the ranger station on top of the mountain, in the abandoned resort town, maybe visit the waterfall the next day before riding down again. 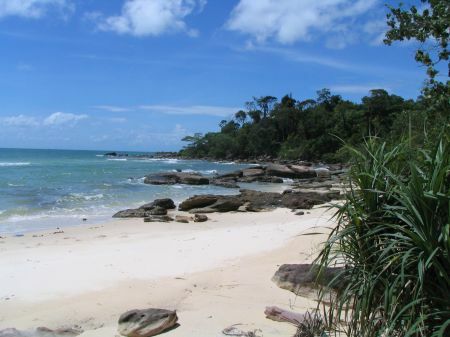 After a short visit at the beach close to the National Park, Maraile and Lydia will continue to Kep and Rabbit Island while I will return home to Phnom Penh. The plan for today is to ride from Kratie back to Phnom Penh. 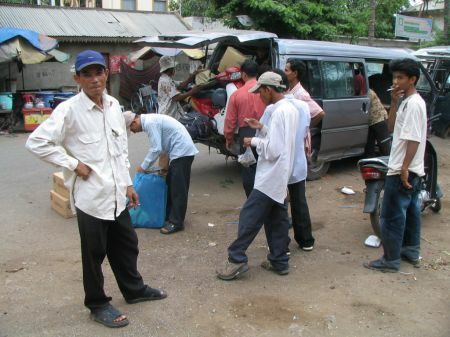 We decided to go follow the National Road 7 through Snuol, Memot (Memout), Suong and Chob to Kampong Cham. 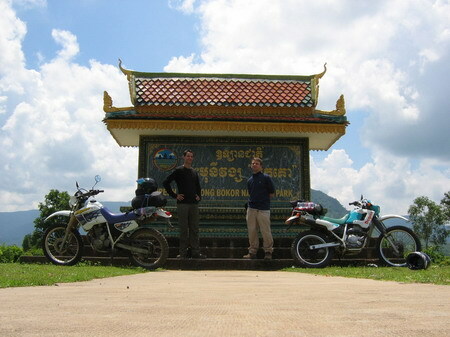 From Kampong Cham to Phnom Penh we want to give the dirt road along the Western bank of the Mekong a try. Well, it is definitely rainy season right now but times have changed, and not only recently. 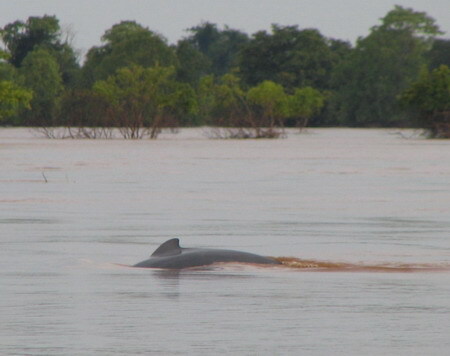 The plan for today is to get from Chhlong (Chloung) to Kratie town and later to visit the Irrawaddy-Dolphins north of Kratie in the Mekong River and some other local highlights depending on road conditions and time availability. We get up relatively early, check out, get on the bike and ride as far as we can get, which is only a few hundred meters. We find a man with a boat who is willing to give us a ride of 5 km or so towards Kratie until we can proceed on a solid road. 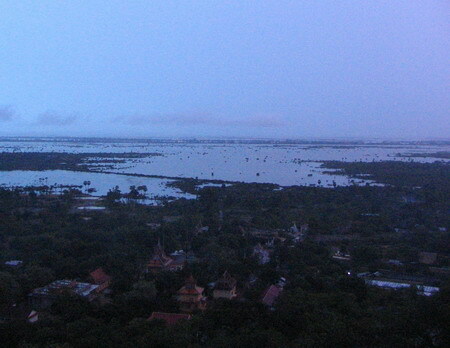 The ride takes us in early daylight through spectacularly flooded landscape. I blend Maraile’s and my own photos. 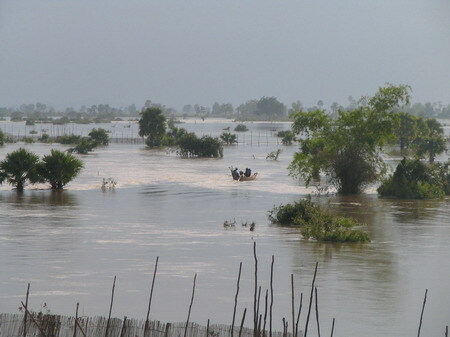 For this weekend Maraile and I have been planning to visit Kratie province, for a number of reasons among them the fact that much of the province is flooded right now. The plan for today is to leave in the afternoon and spent the night either in Kampong Cham, Kratie or Chhlong (Chloung) depending on how far we get. 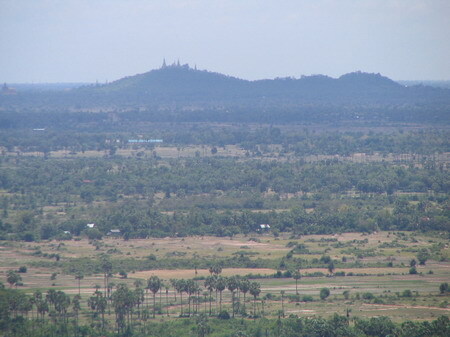 Saturday we want to spend in Kratie province and return at some point on Sunday to Phnom Penh. Many of my colleagues are in Kampong Thom (Kompong Thom) this weekend and I decide to go there and meet up. I have been to Kampong Thom many times but until recently was not aware that there are countless temples to visit along the way, in particular between Kampong Thom town and Skuon (Skon). The plan for this weekend is to meet my colleagues in Kampong Thom and also Vothear and Sokhom, two friends and guides of mine whom I have been exploring the surrounding provinces with on a number of occasions. 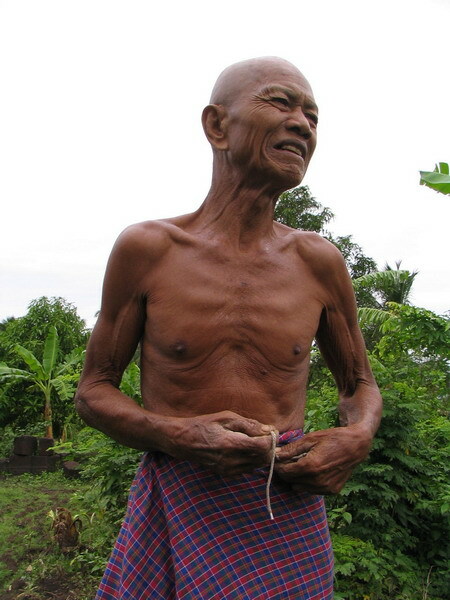 I am sure these people are the best guides you can find in Kampong Thom with detailed knowledge of the surrounding provinces. 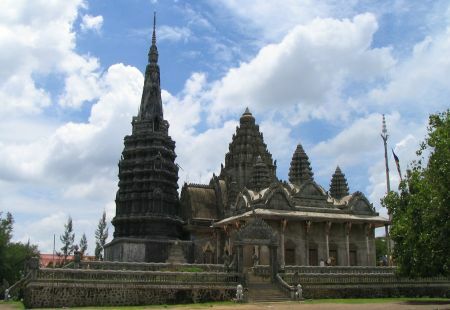 Kampong Thom does not see many visitors, despite the fact that the site of the ancient capital of the Pre-Angkor kingdom of Chenla is right next to the provincial capital. 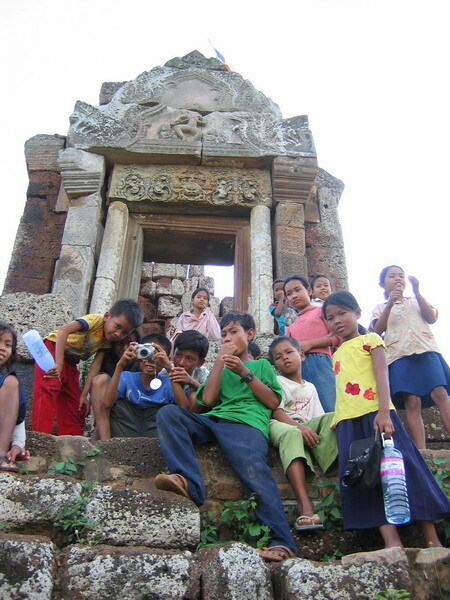 The ruins of Sambor Prei Kok (Sambor Prei Kuk) cover a vast area of mostly forested land in close proximity to Kampong Thom town which is an excellent starting point for journeys into neighboring provinces also. The complex contains countless structures that are nearly 1400 years old and easily accessible even by coach. If this place was in Vietnam or Thailand it would be a sensation attracting thousands of tourists daily. Tourists who make it to Cambodia pass through Kampong Thom on their way from Siem Reap to Phnom Penh or just bypass it by aircraft. 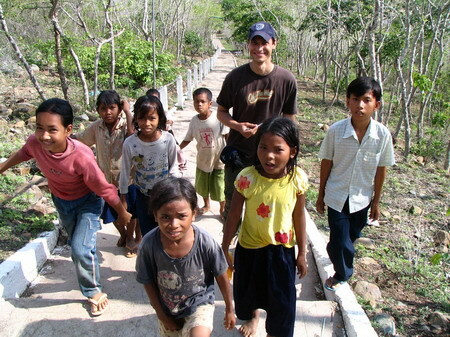 While exploring the site you will meet few tourists, if any. I have been to Sambor Prei Kuk before and my interest this time is more in these lesser known temples along the way to Phnom Penh. This weekend I find time for only a day trip. I want to use this opportunity to explore some of those parts of the more immediate souroundings of Phnom Penh that I am less familiar with than with, say, the National Roads. 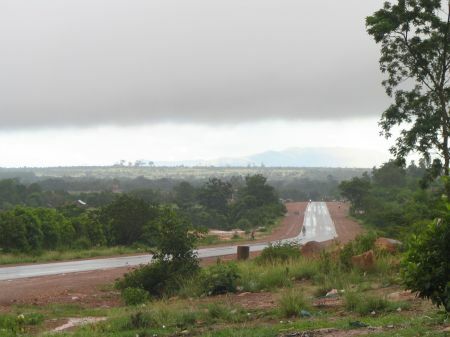 The plan is to cross the Mekong right at Phnom Penh and follow its eastern bank north towards Kampong Cham, on what is marked as “other provincial road, unpaved” in the Gekko road map. 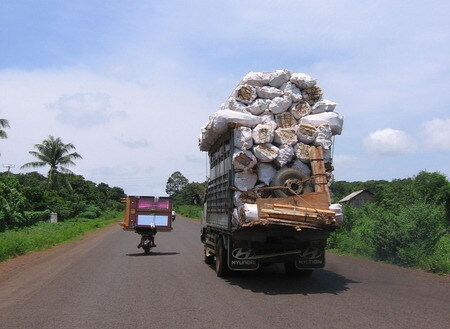 Depending on road conditions or, rather: the existence of roads, the plan is to go all the way to Kampong Cham. 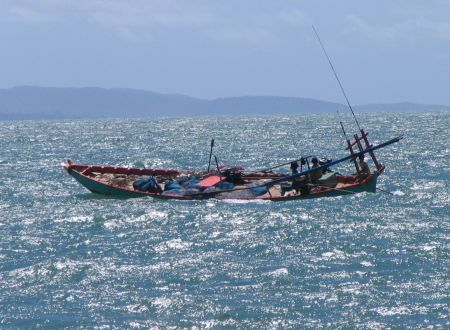 If that is not possible I want to go as far as it gets, cross the Mekong with a ferry if there is one and decide on the flight how to proceed. Many tourists crossing the Japanese bridge in Phnom Penh believe that they are actually crossing the Mekong River. 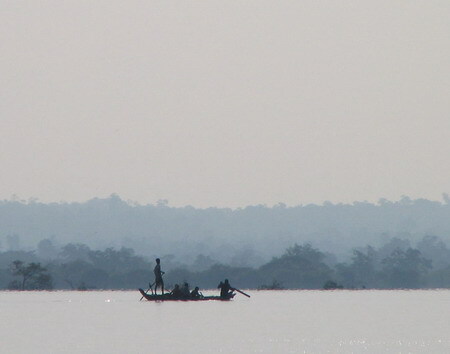 What they are crossing is the Tonle Sap. 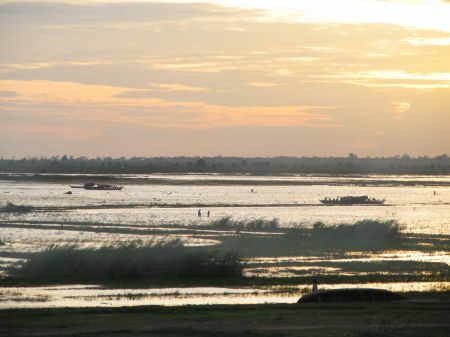 There is as of now only one bridge in Cambodia that spans the Mekong, which is the Japanese bridge in Kampong Cham. 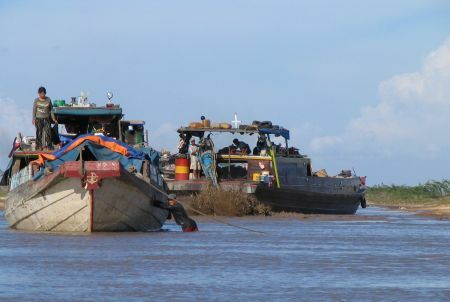 Interestingly, a new Mekong bridge at Neak Luong (Neak Loeang) is planned and the Japan International Cooperation Agency has completed a feasibility study on the project. Japan is now expected to start soon building this bridge. There was an interesting article in the IHT recently on this and other infracture projects in Cambodia. I copy the text below this blog article. 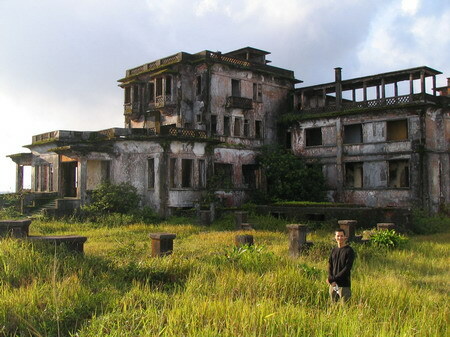 The plan for today is to ride from Kep to Kampot, have breakfast there and visit a number of places in Bokor National Park, such as the waterfall and the abandoned French resort with the Casino. 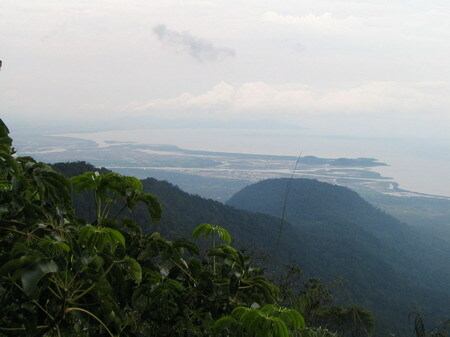 If there is still time we want to use it to explore other roads around the Phnom Popok and into the Elephant Mountains (Chuor Phnum Damrei). My buddy Uwe has just arrived in Phnom Penh for a joint 4 weeks Southeast Asia trip. 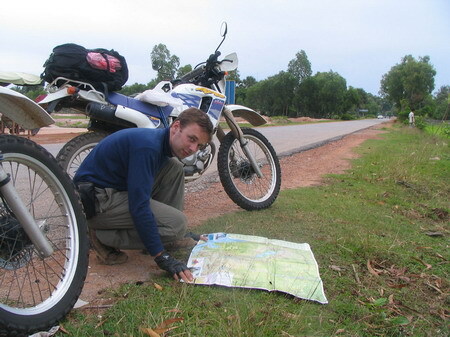 Our somewhat ambitious plan is to start with a three day motorbike trip to Kep and Kampot in Cambodia, while our visas for Laos, Burma, Vietnam and are being processed in Phnom Penh, and later to visit all these countries in that order. 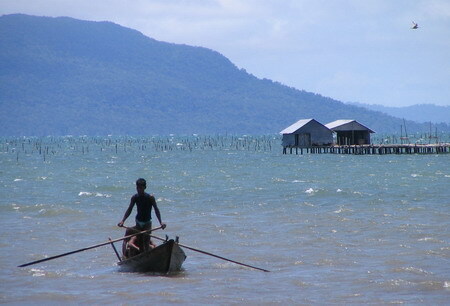 I have been to Kampot and Kep (Kaeb) a number of times (Kampot and Kep – Ein Tag am Meer, Phnom Penh to Kampot, New Year at Bokor, Caves in Kampot, Sunset in Kep, Swimming at Toek Chhou, By Motorbike from Sihanoukville to Phnom Penh via Kampot), but always went on National Road 3. 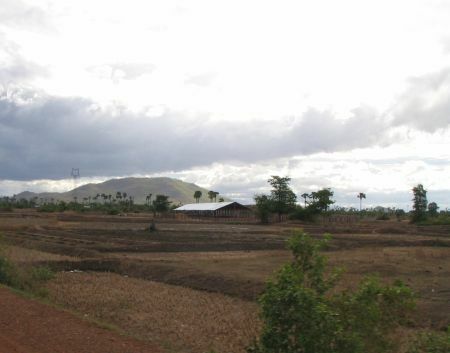 According to the map, National Road 31, which departs from Road 3 about half way from Phnom Penh to Kampot and leads more directly to Kep, is under construction. Contrary to the map, a number of people told us that the road has long been finished and now makes for a comfortable ride. 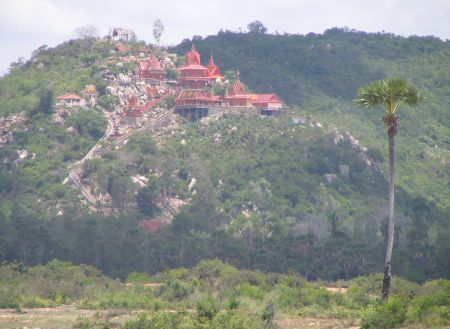 It is time for a nice and easy day trip and Becky joins me to visit Phnum Baset (Phnom Baset) which is located just about 30 km north of Phnom Penh. We also want to visit Longvaek, which is located 20 km further north and used to be the capital of Cambodia before the court moved to Udong. 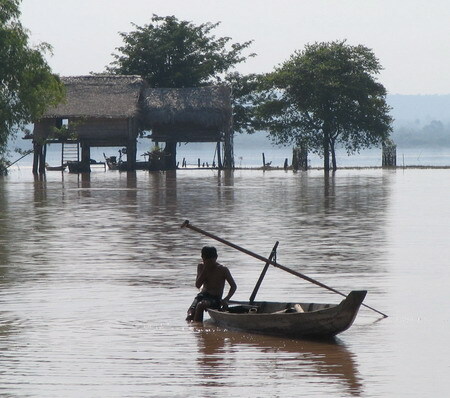 The plan is then to cross the Tonle Sap with the Ferry close to Udong and ride back to Phnom Penh either on National Road 6 or â€“ if we have still time and it does not rain – to cross the Mekong with the Ferry at Praek Anhchan and ride back on the secondary road along the eastern bank of the Mekong. We have breakfast in the Mittapheap Restaurant before getting on the bike. 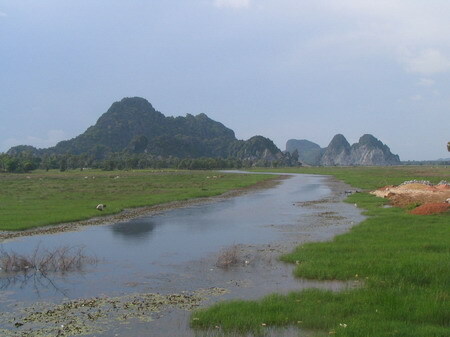 We leave on road 11 towards Neak Luong. The plan is to follow this road only for about 10-12 kilometres and then a secondary road (317) for about 25-30km to Ba Phnom (Ba Phnum, Phnom Chi-gaht). 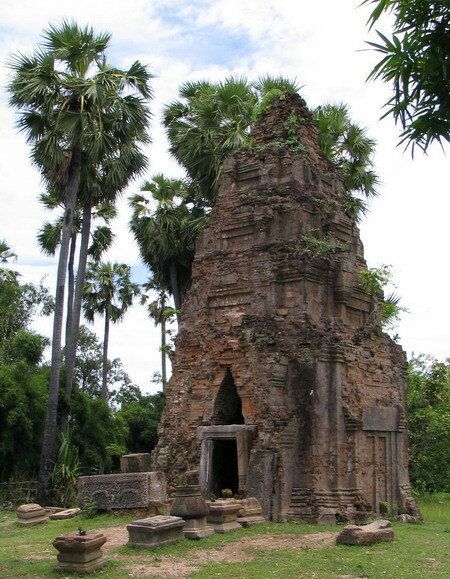 According to the Lonely Planet, Ba Phnom is one of the earliest religious and cultural sites in the Kingdome of Cambodia, dating back to the 5th century and the time of the mysterious Funan. 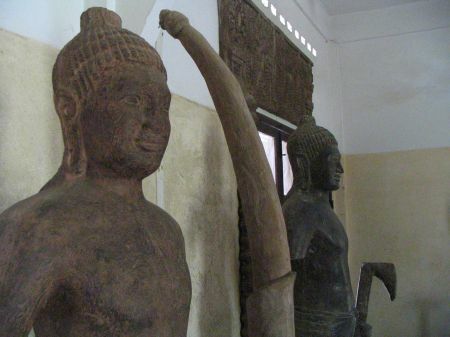 It remained an important place of pilgrimage for kings of the subsequent empires of Chenla and Angkor and continued to be a place of spiritual significance into the 19th century, but its past conceals a darker side of human sacrifice. According to French records, human sacrifices continued into the protectorate and were only finally stamped out in 1872. 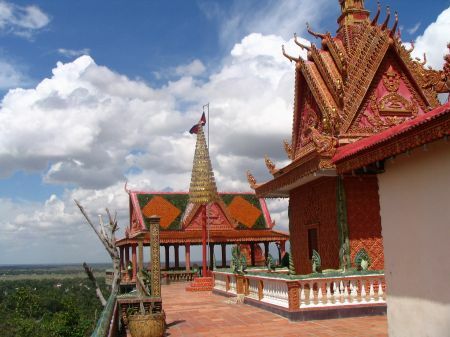 The guide book also says that â€œIt is only really worth the detour for those who have a keen interest in early Cambodian history, as for the casual visitor there is unfortunately little to seeâ€�. This weekend it is time to go on an overnight trip to the provinces. 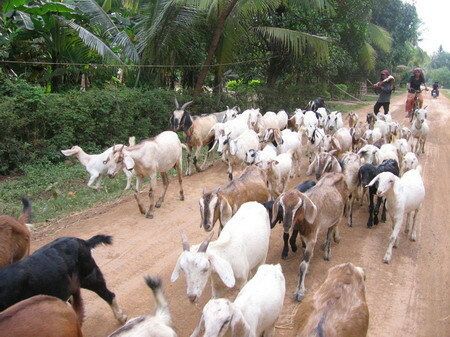 Maraile is ready to go and we plan to visit Prey Veng and to go there via Kampong Cham. 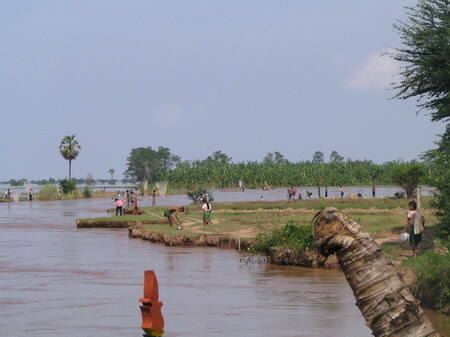 Prey Veng is not so far from Phnom Penh but not connected to any national road. Accordingly, it is said to be a very provincial and sleepy town. 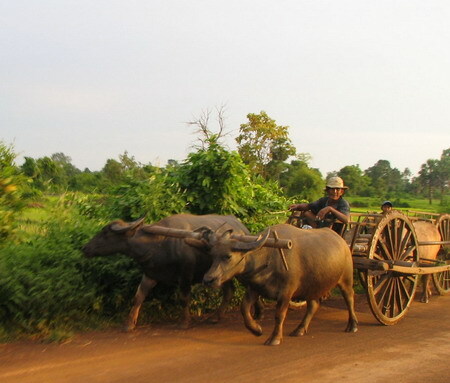 The road distances are from Phnom Penh to Kampong Cham 129km and from Kampong Cham to Prey Veng 80km. 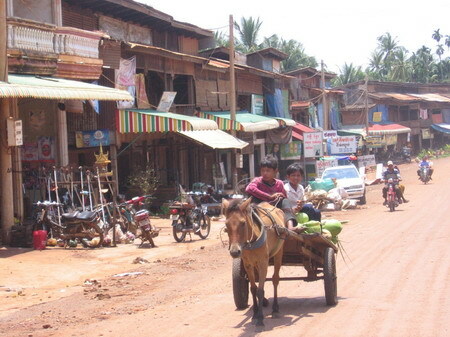 Prey Veng to Phnom Penh is 90km. Today the plan is to go to Takeo (Takaev) again and to visit Angkor Borei and Phnom Da (Phnum Dai) with two friends: Maraile and Becky. Becky is a motorbike enthusiast while Maraile did not yet discover her passion for bikes. While I visited Angkor Borei by motorbike a few weeks ago, we want to do the trip from Takeo to Angkor Borei with the fast boat. 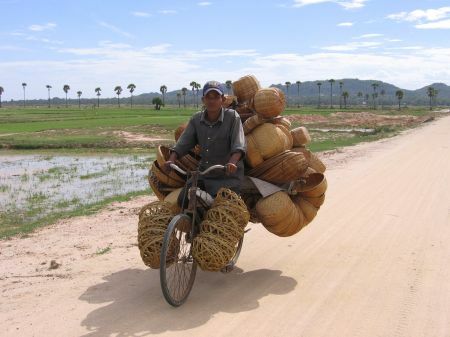 The plan for the next two days is to take it easy and then to go back to Phnom Penh by bus. There is not much to report here and I limit myself mostly to pictures. 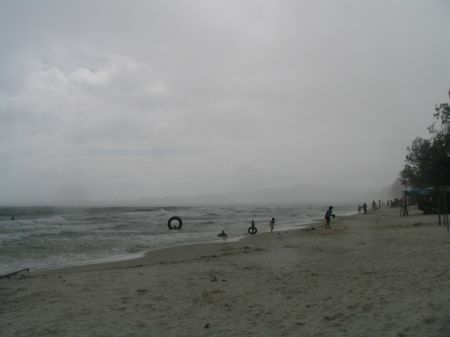 It is weekend again and I decided to visit Sihanoukville once more, after I have been here only few weeks ago. I also decided to travel by public transport this time, mostly for convenience. It is too late to catch the early buses so I chose to go by minibus. 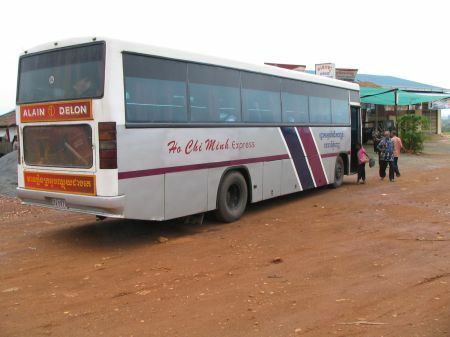 Initially I go to the Central Market where I don’t find a minibus to Sihanoukville but people who show me the place from which these buses leave. One minibus is about to leave. I pay for two seats, again for convenience (at 5$ each, which is far too expensive, which I learn later on, anyway).